Connecting your OPC DA client to an OPC XML DA Server. 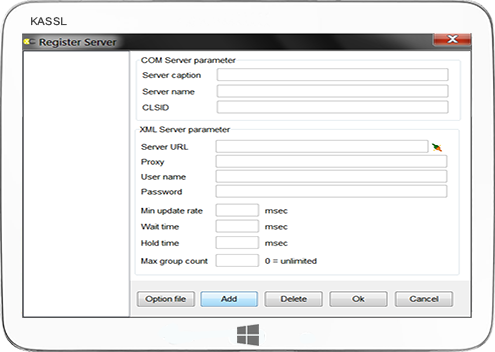 If you have to connect an OPC COM based OPC client application to an OPC XML server, then dOPC XCOM would be the right solution for you. 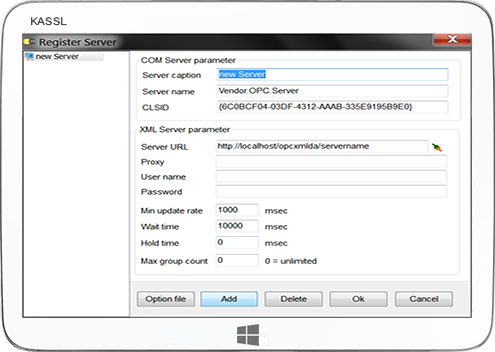 dOPC XCOM is based on the OPC XML DA specification 1.01 and is designed to work with existing OPC Data Access 2 clients. Hence, Internet connectivity has become reality in automation. 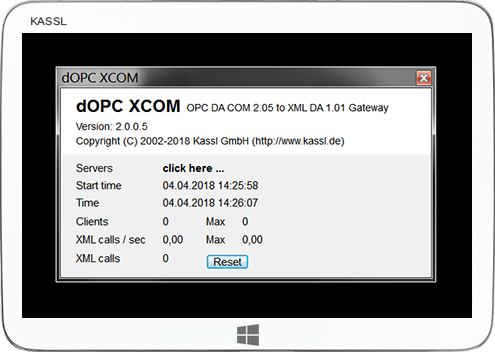 Together with our dOPC XGate Server and dOPC XCOM it's now possible to connect OPC COM based servers over the internet! The OPC XML DA standard builds on the widely used OPC Data Access standard but significantly simplifies the integration of automation systems and applications across the manufacturing enterprise by delivering multi-vendor interoperability and plug-and-play connectivity to plant floor information via the Internet.The OPC XML DA specification is based on XML, SOAP called Web Services and uses the Internet to share manufacturing information from measurement and control systems.